One of our most popular, classic designs now on a Raglan Jersey! If you own one of these already you know how soft and comfortable the shirt is. We let the snake do the talking and kept this shirt free of sleeve designs or other distractions. 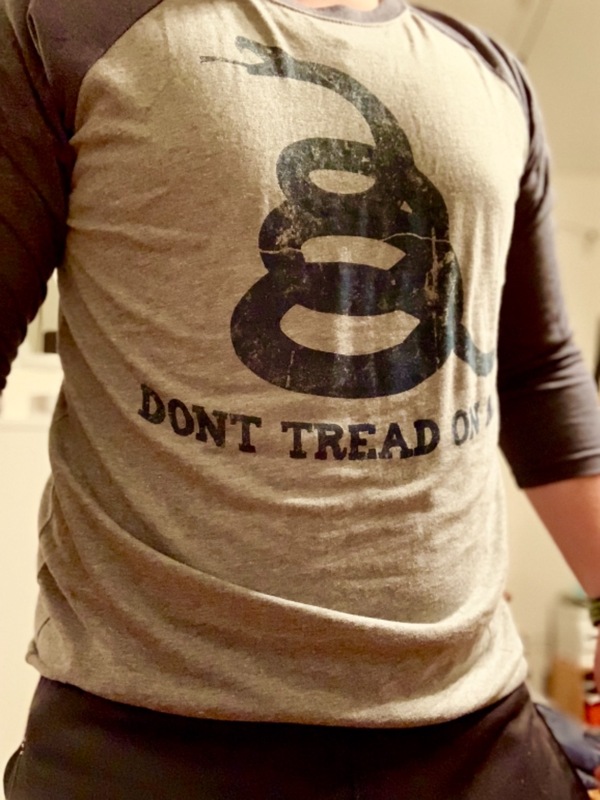 Our take on the Gadsden features a very clean design of the famous flag that will remain a recognizable symbol of freedom against tyranny for years to come. Great quality shirt ,company that never lets you down. The shirt fit very well, which was surprising being that it was a 3XL. 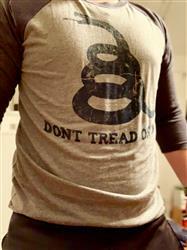 I love the patriotism, and I will definitely be picking up more stuff from 1776 United! Only runs a bit smaller than normal size. I saw the description and reviews saying these run a little small, so I was concerned about ordering my normal size (XL). But I took a chance (I figured I'd exchange it if I needed to) and it fits nicely. 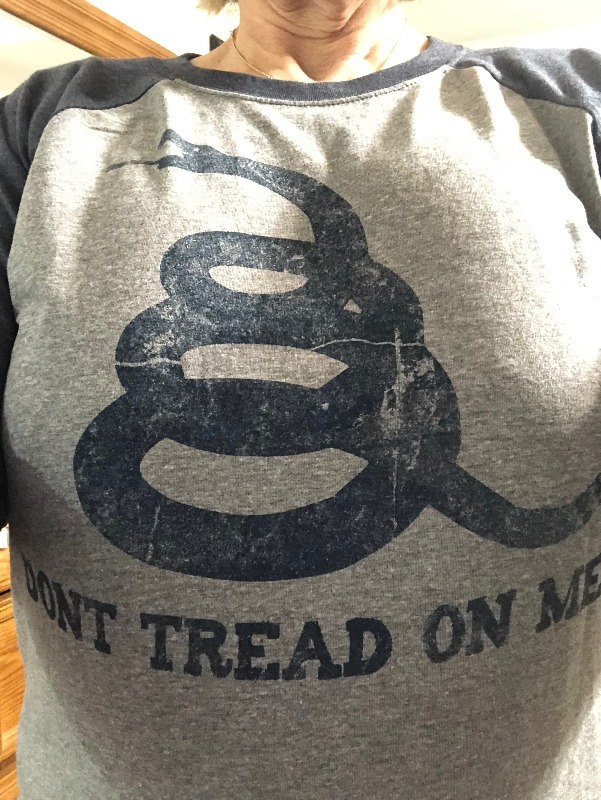 Yes, it IS a bit of a athletic-ish fit, so it's not roomy like a normal fit t-shirt, but it's not overly tight. It fits well, it looks great, the quality is great, and it feels soft and comfortable. I look forward to wearing it often. I do plan to wash it cold and hang to dry in order to hopefully prevent it from shrinking. In the meantime, it's more motivation to stick to my workout schedule so I don't get too fat to wear it. I think I have bought most every shirt in this style. I love this company.